CO2 Laser resurfacing treatments have been available for decades now, but recent advancements have vastly improved patient experience, and most importantly, patient results. In his latest SlideShare presentation, Dr. Joel Schlessinger discusses one such advanced laser treatment, Fraxel, a semi-ablative procedure based on the skin’s own healing response. Dr. Joel Schlessinger recommends Fraxel for any patient who would like to have smoother, tighter skin. During the Fraxel procedure, microscopic laser wounds are spaced across the skin with a handheld scanner. Fraxel light energy stimulates collagen and resurfaces the top layer of skin so its natural rejuvenation process can repair and restore the complexion. This practice is actually very similar to aerating a lawn! A variety of different skin concerns can be addressed with Fraxel. Among these issues are fine lines and wrinkles, dark spots, uneven skin tone, large pores and acne scarring. Almost any area of the body can be treated, but patients most often choose to treat the face, neck, chest, hands, arms and legs. The procedure can be used to delay more invasive surgery like a facelift. Anyone who would like to achieve smoother, tighter, younger-looking skin without invasive surgery or an extended period of downtime is a great candidate for Fraxel. Dr. Joel Schlessinger explains the differences between regular CO2 laser treatments and the Fraxel procedure. The first CO2 treatments required anesthesia and the laser removed the entire top layer of skin. This resulted in a larger wound to heal and a much longer recovery time for patients. Risks for scarring, infection and changes in skin pigment were also increased. With the Fraxel treatment, only topical anesthetic is required and patients receive microscopic wounds in their skin via high precision laser energy. The procedure itself is not painful. Rather than the weeks it takes to heal the whole top layer of skin, the recovery time for microscopic Fraxel wounds typically lasts just 5-7 days on average. Side effects are manageable and include moderate redness and swelling. Much better results are achieved over time and long-term risks are minimal. Dr. Joel Schlessinger and his staff would be happy to consult with you about your Fraxel treatment. To ensure you’re receiving the best care during your Fraxel experience, choose a qualified expert. Dr. Joel Schlessinger is a board-certified dermatologist and cosmetic surgeon voted one of America’s Top Docs and one of the Best Doctors in America. He and his staff at Skin Specialists P.C. in Omaha would be happy to meet with you about your Fraxel procedure and help you decide on the best course of treatment for you and your needs. Do you have any questions for Dr. Joel Schlessinger about Fraxel? Let us know in the comments section. With summer upon us and lots of outdoor activities on the horizon, we could all use a refresher course on poison ivy. In the June 16 article in the Well section of The New York Times, “Steering Clear of Poison Ivy,” Jane E. Brody shares her AAD-endorsed knowledge for putting plenty of distance between yourself and a bothersome rash. 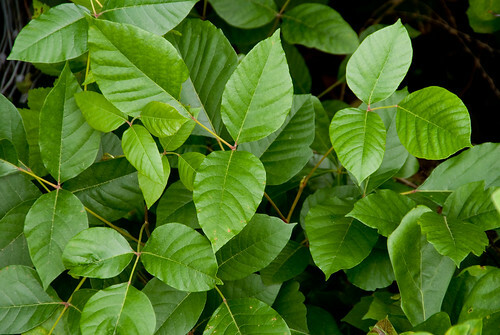 Learn the myths and misconceptions about poison ivy, says Joel Schlessinger MD. It’s important to remember, first and foremost, that no one is completely immune to urushiol, the oily sap found in poison ivy that is responsible for causing rashes. Many believe that they are either allergic to urushiol or they’re not, and that if they’re not, they will never get a rash. The truth is that even if you’ve been exposed to poison ivy plants in the past without suffering a reaction, future exposure may produce one since previous exposure can induce sensitivity. It may take a higher or lower concentration of urushiol to produce a rash depending on the individual, but the risk is always present. Jane E. Brody stresses that it’s crucial to know what to look for. Poison ivy, while usually a small ground plant, can also grow as a shrub or vine. Look up the plant in its various forms and stages of growth to learn how to identify it properly. Joel Schlessinger MD emphasizes that it’s not just poison ivy leaves that can cause a reaction, it’s any part of the plant. Stems and roots can also cause a rash, as can flowers and berries. Urushiol also has the power to penetrate clothing, so while long sleeves and other protective gear may significantly reduce your chances of coming into direct contact, they will not prevent it entirely. You also don’t have to touch a plant directly to react to urushiol. Camping or sporting equipment and even pets can transfer urushiol to the skin. The AAD, along with Joel Schlessinger MD, recommends washing the skin to avoid a rash. The American Academy of Dermatology and Joel Schlessinger MD recommend washing your skin immediately after contact with poison ivy. Lukewarm, soapy water is best, but even plain water will do in a pinch to limit urushiol exposure. Take care when removing contaminated clothing and be sure to wash it separately from other garments to prevent cross-contamination. Try FixMySkin Healing Balm, developed by Joel Schlessinger MD, to treat poison ivy. Sometimes developing a rash can happen despite our best efforts at avoidance. To treat minor poison ivy reactions, choose FixMySkin Healing Body Balm Unscented with 1% Hydrocortisone. This handy balm stick features 1% healing hydrocortisone to repair skin irritation. It also contains cocoa and shea butters to hydrate and relieve itching and dryness. Do you have a question for Joel Schlessinger MD about poison ivy? Let us know in the comments section. As we grow older, our eyelashes have the tendency to become thinner, lighter and more brittle. If you’re tired of gluing on false lashes, there’s hope in the prescription eyelash enhancement treatment, LATISSE. In his latest SlideShare presentation, Dr. Joel Schlessinger explains the benefits of trying LATISSE to achieve the luxurious lashes you’ve always wanted. Dr. Joel Schlessinger prescribes LATISSE to his patients who want longer, fuller lashes. LATISSE contains the active ingredient, bimatoprost, which is believed to lengthen the growth phase of lashes and keep them from falling out as quickly as they normally might. The result is longer, stronger, fuller lashes. You can even use LATISSE on sparse, thinning eyebrows. Dr. Joel Schlessinger’s patients have achieved great results over a period of time. In fact, in some cases, patients have even discontinued LATISSE because their lash length exceeded expectations. Patients have also seen improvement in the skin conditions vitiligo and alopecia areata while using LATISSE, and Dr. Joel Schlessinger looks forward to researching its additional benefits. LATISSE is easy to use and simple to incorporate into your evening skin care regimen. Just apply it with a provided applicator as the final step in your routine after all other treatments, serums and moisturizer. Side effects are rare, but may include mild redness and itching. Patients with blue eyes should be particularly cautious when using LATISSE, as there is a small risk that blue eyes could become brown or discolored with incorrect application over time. Non-prescription LATISSE alternatives, selected by Dr. Joel Schlessinger, are available on LovelySkin.com. If you’re not quite ready to request a prescription for LATISSE from your physician, there are many alternative eyelash enhancement products available on LovelySkin.com. Dr. Joel Schlessinger also personally recommends these products for maintaining your LATISSE results between or after prescriptions. RevitaLash Advanced Eyelash Conditioner contains pharmaceutical-grade peptides, biotin and botanical extracts to promote long, strong, thick lashes. Obagi ELASTILash is a top-rated formula fortified with peptides and glycerin to stop lashes from becoming brittle and falling out. Both are ideal for making LATISSE results last. Peter Thomas Roth Lashes to Die For Turbo features revolutionary Tri-Phase Lash Complex to target the lash during all three stages of growth, and Jan Marini Eyelash Conditioner prevents breakage and encourages healthy renewal. Do you have a question for Dr. Joel Schlessinger about LATISSE? Let us know in the comments below. Summer is here and along with longer days and warmer temperatures, we’re also starting to experience more bugs. Bug sprays and insect repellants are recommended to help prevent the spread of mosquito-borne diseases such as West Nile virus, malaria and dengue fever, but bug sprays and insect repellants can also cause irritation to your skin. Dr. Joel Schlessinger explains that although DEET is effective, it may sometimes cause slight skin irritation. One of the most effective ingredients in bug spray is DEET (N,N-diethyl-m-toluamide). While this powerful ingredient expertly repels insects, DEET can sometimes cause slight irritation to the skin. Persons who apply bug sprays containing DEET to their skin may occasionally experience hives, redness or irritation. “Although DEET isn’t perfect, it’s the best we have for now,” said Dr. Joel Schlessinger. Dr. Joel Schlessinger says other forms of bug spray may not be as effective as DEET. Other forms of bug spray contain pyrethrins. These pesticides are made from the chrysanthemum flower and are considered to be nontoxic. However, these bug sprays do not protect the skin like an insect repellent that contains DEET. Dr. Joel Schlessinger uses DEET, clothing and netted hats to protect himself. Dr. Joel Schlessinger recommends protecting yourself with clothing and netted hats when you are in a mosquito-infested area. If you require bug spray, be sure to use a spray containing high levels of DEET and remove it from your skin to avoid long-term exposure. To treat any irritation, inflammation or itchy bug bites, use a topical treatment like FixMySkin Healing Balms with 1% Hydrocortisone. This handy balm heals and soothes inflamed skin. How do you protect yourself from bug bites? Tell us in the comments. Laser hair removal is one of the most widely-performed cosmetic procedures in the nation, and its popularity continues to grow as equipment and treatment options evolve. In a recent SlideShare, Dr. Joel Schlessinger answers frequently asked questions about the benefits of laser hair removal. Laser hair removal is a permanent, longer-term hair removal option, says Dr. Joel Schlessinger. A combination of intense light and heat in the laser detect and target the hairs by their pigment, or melanin. The hairs are then destroyed in their individual follicles. Dr. Schlessinger can treat most areas of the body with the exception of the area around the eyes. Areas he and his staff frequently treat include the back, legs, bikini area, underarms, chin and upper lip. Results vary from person to person, but most patients experience permanently thinner, sparser hair after a series of treatments. Results are maintained with occasional touch-ups. Laser hair removal works best on those with coarse, dark hair and light skin. Those patients with blonde, red or gray hair are not recommended for laser hair removal because there isn’t enough melanin present in the hair, and the laser isn’t able to target the follicle. Those with tan or dark skin tones are also not good candidates since there isn’t enough contrast between the melanin in the skin and hair. Dr. Joel Schlessinger’s number one concern is safety. Dr. Schlessinger was one of the first dermatologists in the country to offer laser hair removal at his practice. He participated in the initial clinical trials for the first laser hair removal systems and even taught other physicians about the procedure and its equipment. He has played an integral role in bringing laser hair removal to the market. Dr. Schlessinger continues to study the procedure and build upon his vast experience and knowledge. He and his staff at Skin Specialists in Omaha are proud of their unparalleled safety record, and they strive to ensure that each patient receives the best possible treatment for their needs. The me smooth device is an alternative to laser hair removal recommended by Dr. Joel Schlessinger. For those whose hair color and skin tone are not conducive to laser hair removal, Dr. Schlessinger recommends the me smooth Hair Removal Device. me smooth is the only FDA-approved at-home hair removal device to use patented elos technology that is safe and effective for all skin tones and types. In just seven treatments, you can experience smoother skin without stinging, nicks or ingrown hairs. Do you have a question for Dr. Schlessinger about laser hair removal? Let us know in the comments below.